You control nothing. I don’t know the origin of the phrase “reputation management” but it’s erroneous. Just as social media networks should be built organically, so should your online reputation. Treat people right; you’ll reap the benefits of some of them sharing that fact online. If you treat them wrong, however, you’re screwed. As consumers get more active online, they are starting to realize the power they have over businesses with their social media voice and through online review forums. Businesses recognized the importance of online reviews years ago. Thus, the birth of review building processes and businesses. 1. They realized that they needed to treat their customers right and aspired to do so. They started paying attention to the review sites and, when an issue arose, they did their best to solve the problem for the consumer. 2. They continued along the path of “ignorance is bliss”. They neither paid attention or did anything. 3. They made the decision to hire a “janitor” (or act like one) to clean up after their mess. In February 2011, I wrote an article about one of these “janitors”, Review Boost. 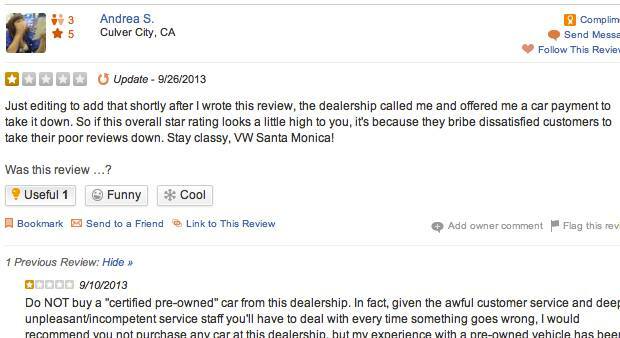 In January 2012, I wrote another article about companies “buying reviews”. These aren’t new practices nor are any of the companies involved the only companies that offer these services. However, as you could read in those articles if you choose, it didn’t end well for those companies. Do you really think you can “manage” your reputation? Seriously? Despite the fact that there is no way for you to control what is being said about you online, there are only a few ways in which a business who doesn’t treat their customers right can continue to operate the way they are now without getting killed via social media and/or online reviews. 1. They can hire these companies to “bury” the bad reviews by adding a ton of good (and, in some cases, fake) reviews. 2. They can “do it themselves”. 3. They can try and bribe the consumer(s) to remove a review. Yeah, how’s that “strategy” working for you? Consumers are not only finding screaming and yelling via social media more effective, they have actually started to pay these networks to advertise those complaints! Still think you’re controlling something? I could show countless examples of these types of events. The fact is that these tactics don’t work. You aren’t controlling anything. You may be pouring cat litter over the oil you spilled in the driveway but unless you fix the leaky oil can, you’ll be doing it forever. You are no more “managing” your reputation than you are managing the weather. It’s not yours to control. Consumers will dictate what your reputation is. They already are. You can’t stop them. Not only can you not stop them, they are going to start screaming louder, and louder, and louder. Theirs will be the ONLY voice that matters. So, why don’t you stop trying to “manage” your reputation and start building one? It may cost you money and you may not agree with the customer but do the right thing. Every time. No exceptions. No matter how badly you don’t want to. Just do it. …or you can let the customer manage your reputation. That’s who’s doing it already.